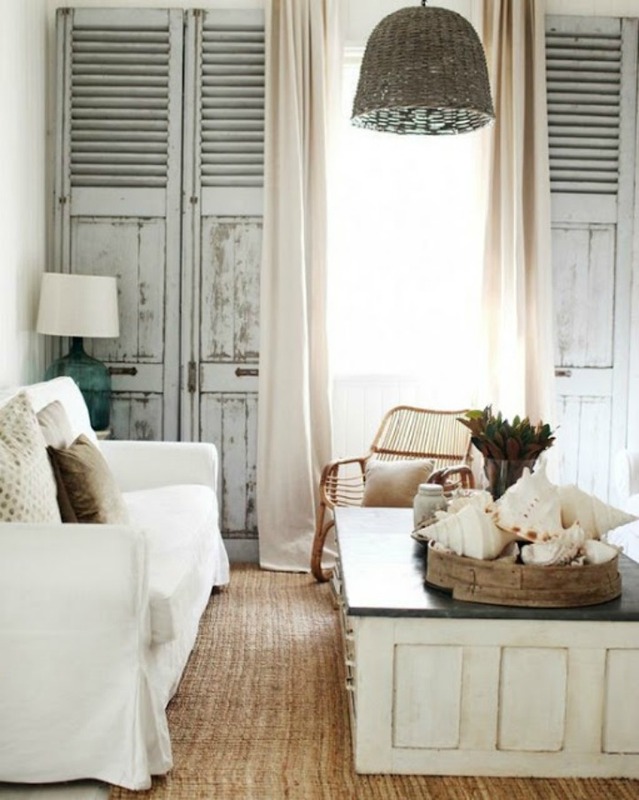 Inspirational coastal casual shabby chic decor we love. 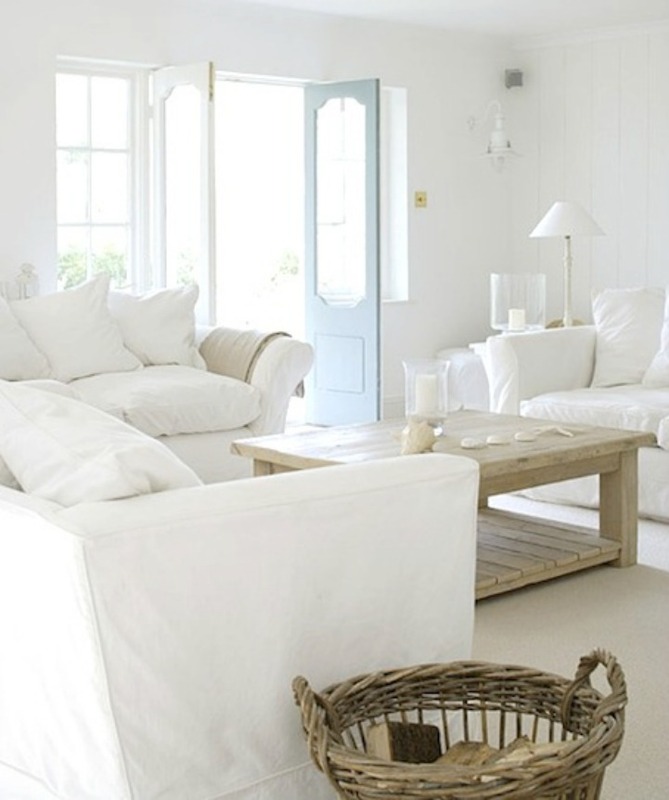 White slipcover sofa, whitewashed finishes and natural tones make this lovely little living space simple, shabby chic. Beautiful soft ocean hues and easy fabrics create these coastal shabby chic gems. Light ocean hues and beautiful baby blues fill this shabby chic living room which is anchored by a light blue striped coastal rug. White slipcover sofas, natural wicker baskets and weathered wood coffee table are gorgeous in this shabby chic beach house. White slipcover sofa with slouchy striped pillows and weathered wood coffee table makes for a simple shabby design. Inspiring shabby chic coastal decor. 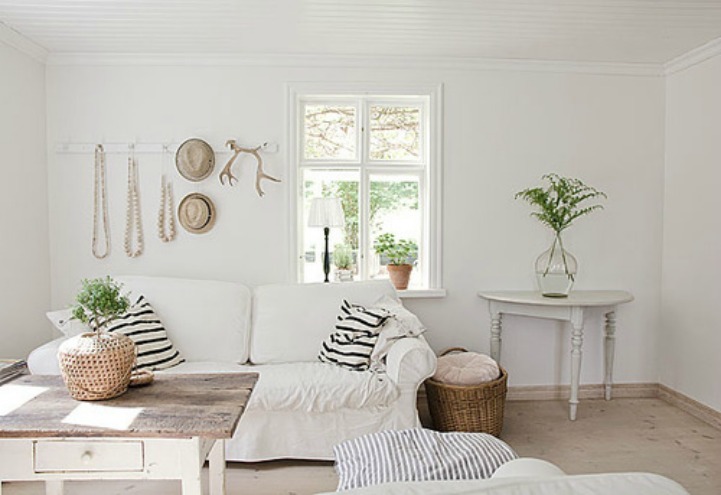 Comfy casual coastal shabby chic designs we love.